You may choose a creature or land card you own from outside the game, reveal that card, and put it into your hand. 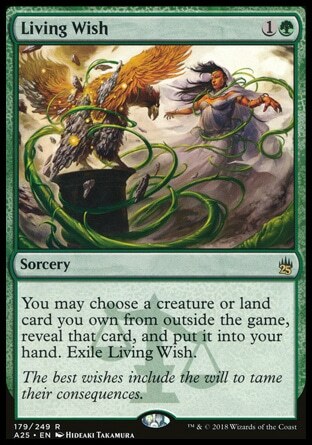 Exile Living Wish. The best wishes include the will to tame their consequences.